Looking "where to sell my Chevrolet COPO Camaro?" Ask the Chicago Car Club! Are you wondering "where to sell my Chevrolet COPO Camaro ?" 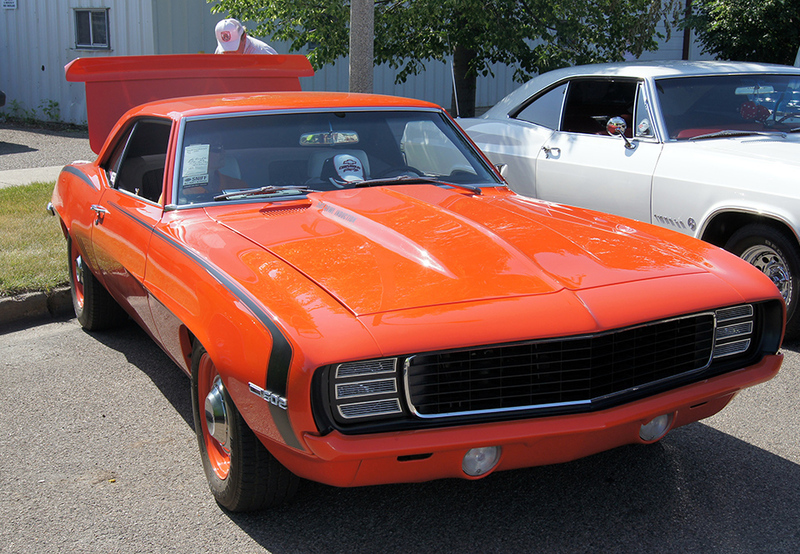 The Chicago Car Club is interested in classic cars of all makes and models, especially a Chevrolet COPO Camaro. We make the process of selling your Chevrolet COPO Camaro quick and painless. In just a matter of hours we will have your classic valued and, if you do so choose, turned into money in your pocket. All it takes is a phone call or electronic inquiry to get the ball rolling. The COPO Camaro, beginning with model year 2013, is a limited (69 units) version of Camaro factory drag-racing cars designed for NHRA Stock Eliminator classes, available with a manual or Powerglide automatic transmission and a choice of 3 engines. These engines include a 350-cubic-inch engine rated at 325 horsepower, 396-cubic-inch engine rated at 375 horsepower, and a 427-cubic-inch engine rated at 425 horsepower. These cars are fitted with fuel-injection, engine management from Holley HP EFI electronic control unit with self-tuning fuel table strategies and data logging, Holley Hi-Ram intake manifold, rear axle gearing optimized for each vehicle depending on the engine and transmission, a ‘heritage’ grille and standard-production headlamps, new exterior graphics choices with engine-size call-outs, revised interior package with custom carpet and new switch panel, dedicated racing wiring harness, revised front springs that enhance performance, transmission cooler integrated with radiator, and a choice of 5 body colors. The cars also have a NHRA-approved roll cage and other safety equipment, racing chassis and suspension components, lightweight Bogart racing wheels, Hoosier racing tires, sequenced build serial number matched to the engine, and is sold without a Vehicle Identification Number and cannot be registered for use on public highways.